There is more than one artist named Ray Brown. 1 - American jazz double bassist 2 - Australian singer/guitarist 1. Raymond Matthews Brown (October 13, 1926?July 2, 2002) was an American jazz double bassist. Ray Brown was born in Pittsburgh, Pennsylvania, and had piano lessons from the age of eight. After noticing how many pianists attended his high school, he thought of taking up the trombone, but was unable to afford one. With a vacancy in the high school jazz orchestra, he took up the double bass. 1. 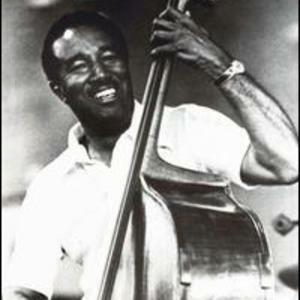 Raymond Matthews Brown (October 13, 1926?July 2, 2002) was an American jazz double bassist. Ray Brown was born in Pittsburgh, Pennsylvania, and had piano lessons from the age of eight. After noticing how many pianists attended his high school, he thought of taking up the trombone, but was unable to afford one. With a vacancy in the high school jazz orchestra, he took up the double bass. A major early influence on Brown's bass playing was the bassist in the Duke Ellington band, Jimmy Blanton. As a young man Ray Brown became steadily more well known in the Pittsburgh jazz scene, with his first experiences playing in bands with the Jimmy Hinsley Sextet and the Snookum Russel band. After graduating from high school, hearing stories about the burgeoning jazz scene on 52nd Street, in New York City, he bought a one way ticket to New York. Arriving in New York at the age of twenty, he met up with Hank Jones, with whom he had previously worked, and was introduced to Dizzy Gillespie, who was looking for a bass player. Gillespie hired Brown on the spot and he soon played with such established musicians as Art Tatum and Charlie Parker. From 1946 to 1951 he played in Gillespie's band. Brown, along with the vibraphonist Milt Jackson, drummer Kenny Clarke, and the pianist John Lewis formed the rhythm section of the Gillespie band, and their work together eventually led to the creation of the Modern Jazz Quartet. Around this time Brown was also appearing in Jazz at the Philharmonic concerts, organised by Norman Granz. It was at these concerts that he met the jazz singer Ella Fitzgerald, whom he married in 1947. Together they adopted a child born to Fitzgerald's half-sister Francis, whom they christened Ray Brown, Jr. Fitzgerald and Brown divorced in 1952. It was at a Jazz at the Philharmonic concert in 1949 that Brown first worked with the jazz pianist Oscar Peterson, in whose trio Brown would play from 1951 to 1966. After leaving the Trio he became a manager and promoter as well as a performer. In 1966, he settled in Los Angeles where he was in high demand working for various television show orchestras. He also accompanied some of the leading artists of the day, including Frank Sinatra, Billy Eckstine, Tony Bennett, Sarah Vaughan, and Nancy Wilson. He also managed his former musical partners, the Modern Jazz Quartet, as well as a young Quincy Jones, produced some shows for the Hollywood Bowl, wrote jazz double bass instruction books, and developed a jazz cello. It was whilst in Los Angeles that he composed music for films and television shows. He was awarded his first Grammy for his composition, "Gravy Waltz", a tune which would later be used as the theme song for The Steve Allen Show. In the 1980s and 1990s he led his own trios and continued to refine his bass playing style. In his later years he recorded and toured extensively with pianist Gene Harris. In the early 1980s, he discovered Diana Krall in a restaurant in Nanaimo, British Columbia. He continued to perform until his death; he died while taking a nap before a show in Indianapolis. 2. Ray Brown & The Whispers were a highly successful Australian rock band from 1964-67. Led by singer Ray Brown, they ranked alongside The Easybeats, Billy Thorpe & The Aztecs and Normie Rowe as one of the most popular acts of the period. After a few name and personnel changes which led to short lived incarnations, Ray sought to further/widen his career and in late '67 Ray headed overseas and spent two years working in the U.S.A. which included the recording of a solo album Just Ray Brown for Capitol, produced by American composer arranger producer David Axelrod. Despite the name producer and large budget, it flopped, largely due to poor choices of material by the company. According to a contemporary interview from Go-Set, Ray declared that "Capitol spent $30,000 on it, put in a 30 piece orchestra and then wouldn't let me pick my own material."